We bet the thought of slathering your hair with slippery, slimy seaweed is a major turnoff. Are you picturing it? Gross, right?! Well, we’re here to tell you that seaweed actually has a multitude of benefits, and you won’t have to make a day trip to your nearest beach to harness them. 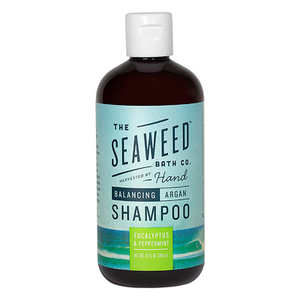 Introducing The Seaweed Bath Co., a range of unique haircare solutions that rely on the miraculous properties of Maine bladderwrack seaweed. This ingredient has over 65 vitamins and minerals present within its composition, and so can give your hair the boost that you’ve been looking for. 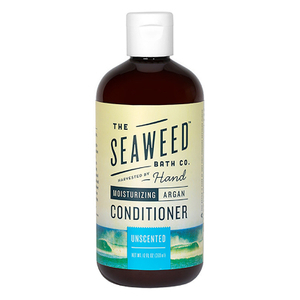 This organic, sustainably harvested ingredient is paired with Argan oil and a variety of other botanicals in each of The Seaweed Bath Co.’s formulations, helping to give your hair smoothness and shine. With a shampoo and conditioner suited to every hair type, adding this oceanic wonder into your daily routine isn’t difficult at all! Simply find the best products within the range for you based on your hair type, and watch as they help to transform your tresses for the better. Think softer, shinier and healthier hair that feels ultra-nourished and looks stunning. So, which product in the range is best for your hair? If you suffer from an oily scalp and greasy locks, give the Balancing range a go. Enriched with clarifying ingredients including peppermint and eucalyptus, this range will remove scalp build-up and help your hair last longer between washes. More of a frizzy kind of person? We know how much of a struggle smoothing your hair can be. Give the Smoothing range a go and let Argan oil work its magic (along with seaweed, of course!). The result will be hair that’s easier to manage, shines beautifully and feels smooth and soft to the touch. Throw away that straightener and let seaweed take its place! 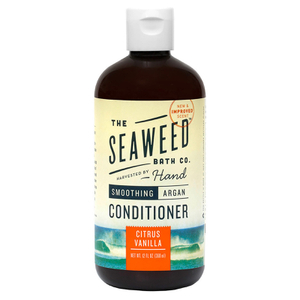 Shop the range of shampoos and conditioners from The Seaweed Bath Co. today with Facial Co, your authorised Australian stockist. We offer free Australia-wide shipping on all orders over $99, plus Afterpay is now available.